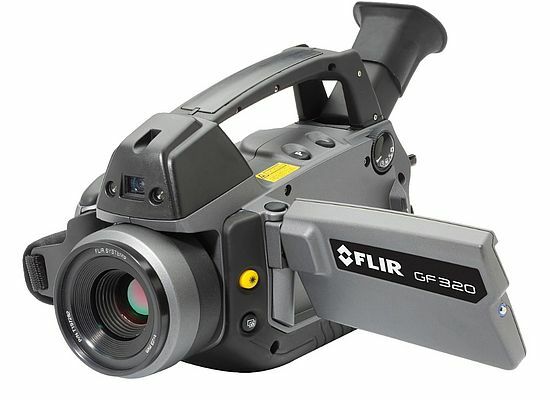 The FLIR GF320 and GF300 optical gas imaging (OGI) cameras from FLIR Systems have received sensitivity standard validation by UK-based National Physical Laboratory (NPL), making them compliant with the Environmental Protection Agency’s (EPA’s) OOOOa Methane rule for the oil and gas industry. The EPA OOOOa methane rule references OGI as the best system of emission reduction (BSER) on specific sources at compressor stations and well sites across the United States. However, the rule also states that any OGI equipment used for compliance purposes must be capable of imaging a gas that is half methane, half propane at a concentration of 10,000 parts per millions (ppm), at a flow rate of less than 60 grams per hour, from a quarter inch diameter orifice. Being independently certified to be compliant with this requirement, the FLIR GF300 and FLIR GF320 systems represent advanced technology for gas detection activities within the oil and gas industry. The GF320 and GF300 cameras incorporate the ability to tag image/video data with GPS location information, enabling operators to meet another key EPA regulatory requirement for reporting. Also, the FLIR GF320 camera is calibrated to measure temperature, allowing the user to ensure optimal thermal contrast between the gas compound and the background scene.